Free Unit Studies for a Variety of Topics and Subjects are often a wonderful learning experience that can go right along with your text book study. A “unit study” integrates disciplines together, rather than dividing them into separate “subjects” to be pursued at different times during the school day. Literature, history, science, mathematics, art, music, history, and so on are all studied through their relationship to a topic. or 'unschooled' students its an exploration of a topic that delights or interests them. Students will explore a topic of choice and create a lap book, a multimedia presentation, write a report or act out a skit. These resources are to help the younger students safely explore their topic of choice independently. These are the unit studies we are working on or have recently completed. Students take the lead on what study we will work on throughout the year. Check back often as the school year progresses many more unit studies will be posted. Like our Facebook Page to see our updates. 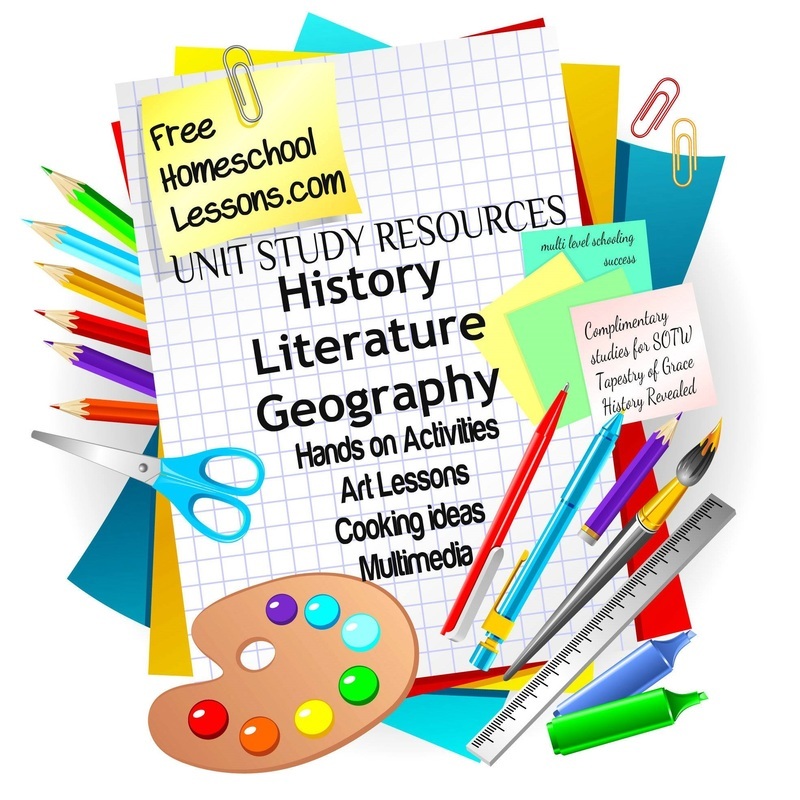 more information about unit study resources: Many of these elements are taken from family friendly websites of other home schooling families. Please remember the the internet changes daily and that the sites may not be available. Every effort is made to maintain the links but the content could change without notice. Parents please double check site content to make sure it suitable for your family. Those sites with downloads I have provided a direct link to the actual file at the site if allowed by the creator. Instructions will be listed to assist children in finding the information. Those created by free home school lessons will be listed as such.